Just when i thought i’d be switching my soup pot for the bbq, Mother Nature decided to give us one last (hopefully??) reminder that, among other things, weather will never be predictable when you live on the west coast. The latter part of this long weekend truly was a “May-vember” moment…rain coming down in sheets, temperatures nosediving..and to boot, i spent the greater part of it in a hockey rink (quite possibly, the coldest rink i’ve had the pleasure of hunkering down in). I certainly couldn’t have forecast that i’d be snuggling into my UGGS, gloves and chunky cable knit scarf on May long!!! So..what was on the menu?? Would have loved to bbq, but, ahem, no covered area has been completed on our backyard patio…do you hear my whining??? I like to think it sounds more pleasant…but, alas, i think my hubby would beg to differ! 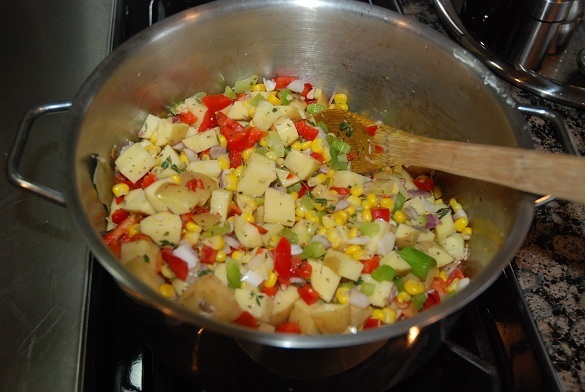 Inside cooking it was…and i have to admit, the bbq flavour in this chowder from Rachel Ray was divine, and as close to the grill as you could get, while staying dry! 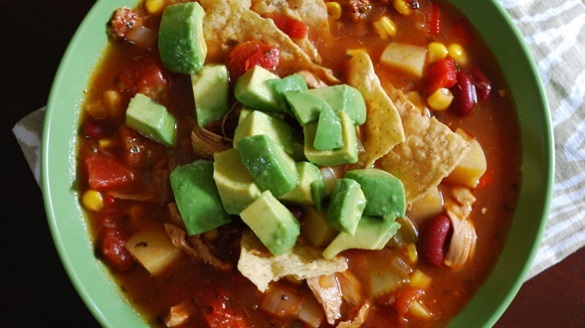 Rachel Ray’s Bbq Chicken, Red Bean and Corn Country Chowder is YUM! 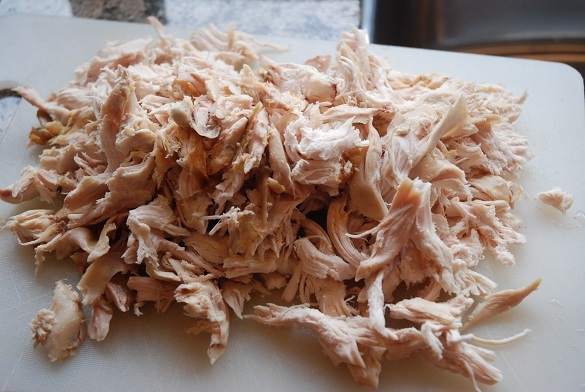 And super easy to make…double it and put a batch in the freezer for a quick meal. Click the link for the detailed recipe. 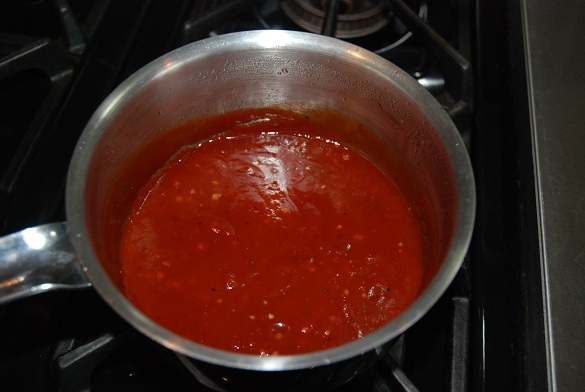 Mix a bbq sauce of ketchup, brown sugar, maple syrup, cider vinegar, Worcestershire sauce, pepper and garlic on your cooktop. This bbq sauce serves as the main flavour in the soup..but, it’s so good, you could make extra and use it as a bbq sauce for your meat of choice, too! 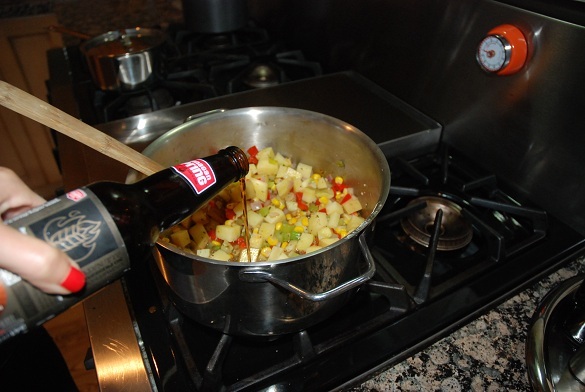 Add a bottle of dark beer and cook the liquid down to half the amount. 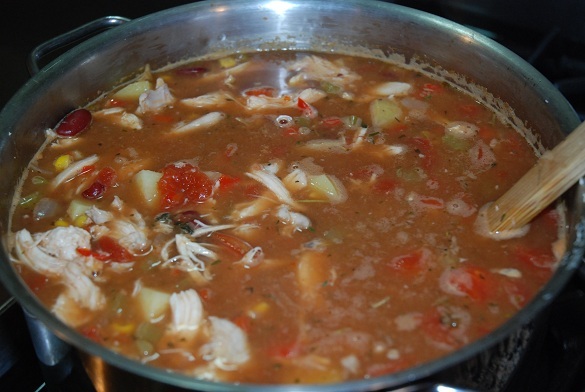 Bring it all together by adding your beans, tomatoes, shredded chicken, bbq sauce stock and water. 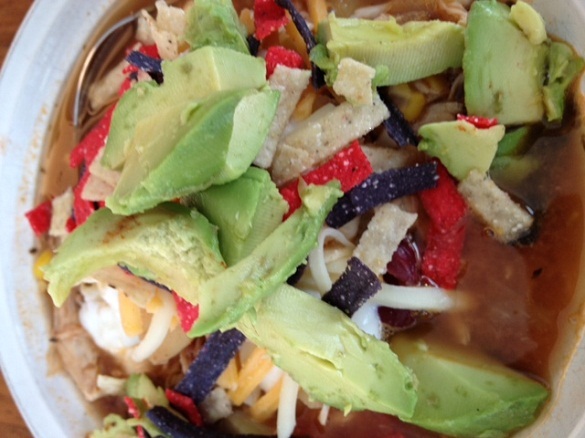 When ready to serve, add my favourites: chopped avocado, shredded cheese, sour cream and crumbled tortilla chips. This is a soup with serious heart… it warms you on a cool wet day and gives you hope that your bbq’ing season is just around the corner!